Bracing for uncertainty under the new U.S. administration, British Columbia's lumber producers are working out ways to Trump-proof the industry. 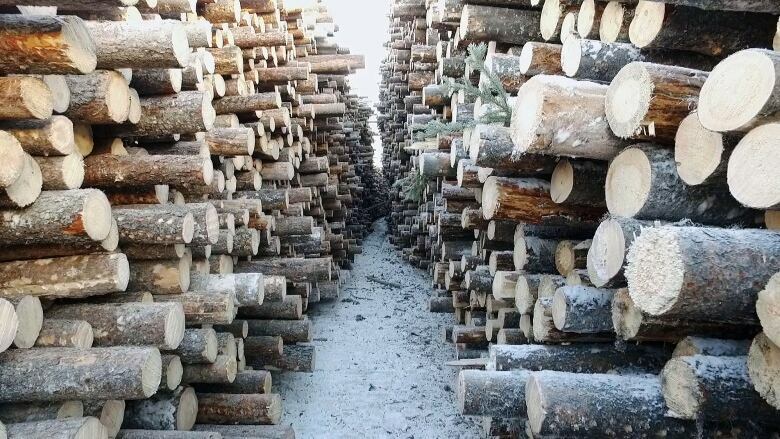 Bracing for uncertainty under the new U.S. administration, British Columbia's lumber producers are hoping diversification will be the key to survival. They already made profound changes to the industry over the past 10 years, moving away from a total reliance on the American market in the wake of a lumber war between Canada and the U.S. In 2015, B.C. sent 21 per cent of its lumber exports — over $1.14 billion worth — to China. A decade ago, that market was almost non-existent. One B.C. 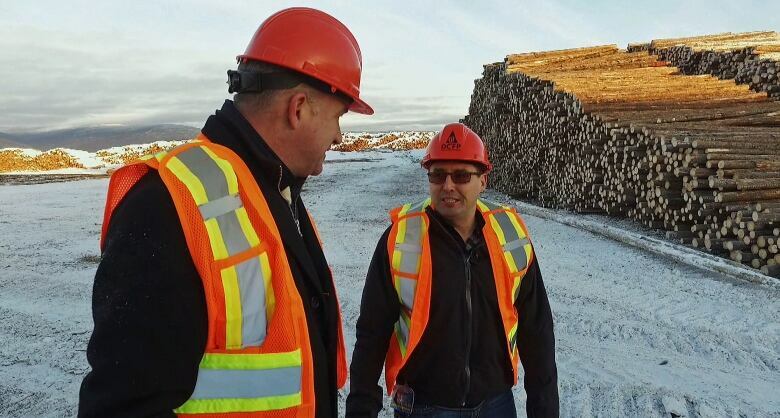 operation that adapted is the Duz Cho sawmill in Mackenzie, which sells all of its product in China and Saudi Arabia. Almost nothing in the company's warehouse gets shipped to Canada's traditional lumber buyers in the states. "We found our own niche in a smaller market," says Chief Derek Orr of the McLeod Lake Indian Band, which owns the sawmill in the small town about 1,000 kilometres north of Vancouver. Duz Cho — which means "big wood" in the local indigenous Sekani language — runs one shift a day and employs 25 people. It's a modest workforce compared to Canfor's far larger and recently renovated "super mill" nearby and another large sawmill in Mackenzie operated by Conifex. 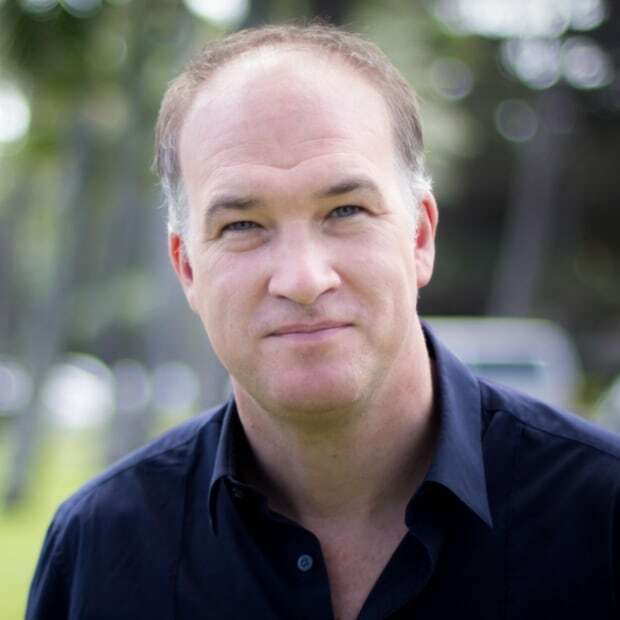 But Mayor Pat Crook says by cutting smaller logs that many companies would consider scrap wood and focusing on China's construction industry, Duz Cho has ensured it's largely inoculated from the temperamental U.S. lumber lobby. "It's great to see," says Crook. Nationally, the U.S. home-building market is still the dominant customer for Canadian wood, attracting more than 65 per cent of Canadian lumber exports — but that's down from a 90 per cent market share 10 years ago. With the U.S. again threatening to impose punishing duties on Canadian home-building wood this spring, and with an unpredictable and potentially protectionist new president, people in forestry towns like Mackenzie are working out ways to Trump-proof the industry. "Hopefully it won't be as bad as people say," said Orr of the looming U.S. tariffs. 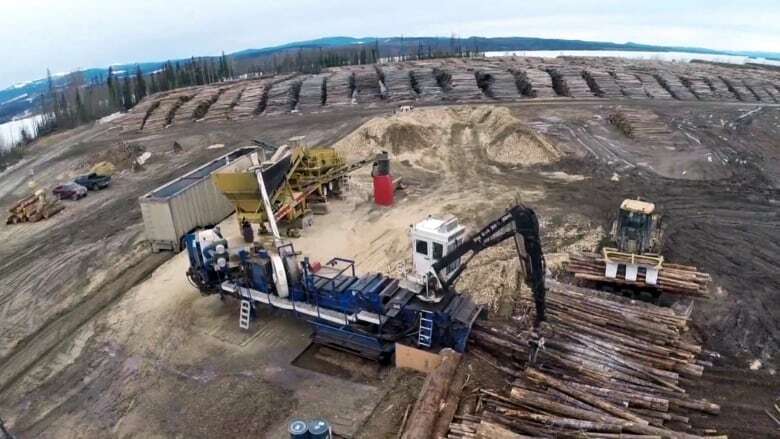 "We're preparing for it and are doing the best we can to ensure we are sustainable for the long term," he told CBC News recently in the company's lumber yard. Sawmill manager Bill Barwise has lived in Mackenzie for 30 years and watched the town of about 4,000 virtually shut down in 2008 after the U.S. home-building market dried up. He says regardless of any moves the new U.S. administration makes, that won't happen this time. "We feel pretty comfortable with our position," he said. 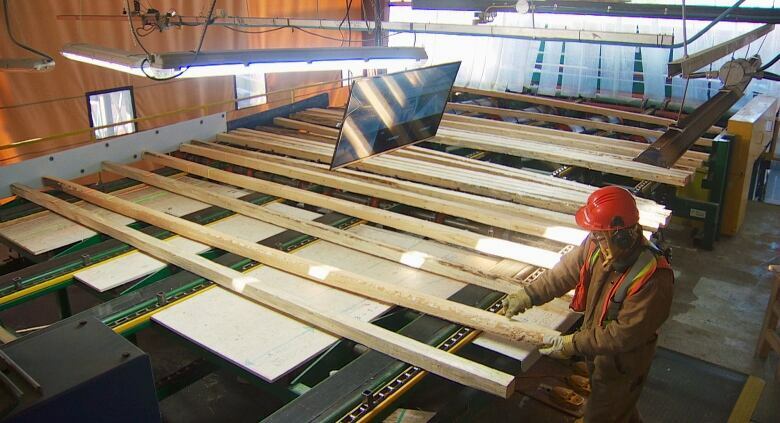 "We've had the opportunity to reinvent the sawmill in British Columbia." Still, with 145,000 direct and indirect B.C. jobs dependent on forestry, no one is taking the threat of a lumber trade war lightly. President-elect Donald Trump's new trade representative, Robert Lighthizer, is seen as a hardliner intent on supporting American producers. A recent release from his transition team said Lighthizer will fight for trade deals that "put the American worker first." "The unfortunate thing about bullies is that we're right beside one, and we may take some of the brunt of that," said Orr. 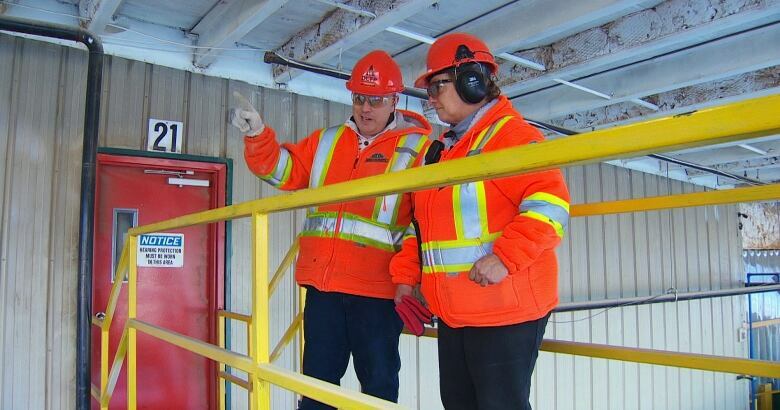 Sawmill supervisor Debbie Brydges, who's 58 and has been in the business since she was 17, says she knows many smaller companies are often unable to withstand the impact of U.S. tariffs. 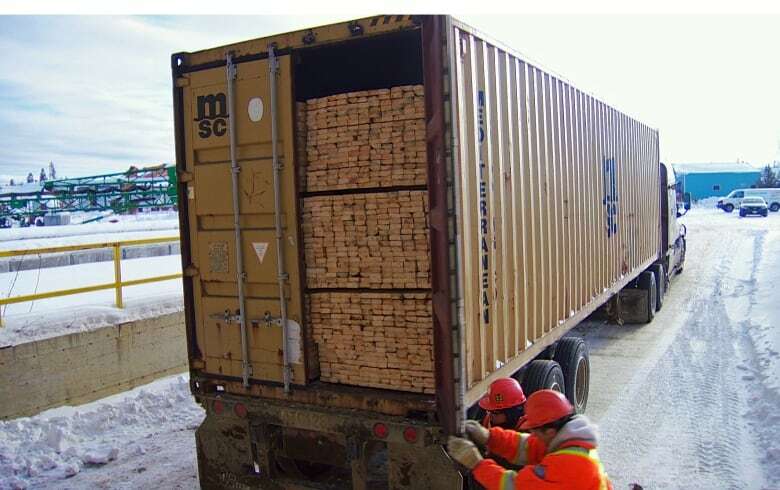 The countervailing and anti-dumping duties, which some in the lumber industry speculate could eventually go as high as 40 per cent, raise the price of Canadian lumber for U.S.consumers but also increase costs for Canadian producers. The industry's biggest players, including Canfor and West Fraser, have spent tens of millions of dollars to make their Canadian mills as modern and efficient as possible to help withstand the impact of the duties. "In these times, a lot of the little guys fall," says Brydges. "But I think we're pretty good," she added hopefully.